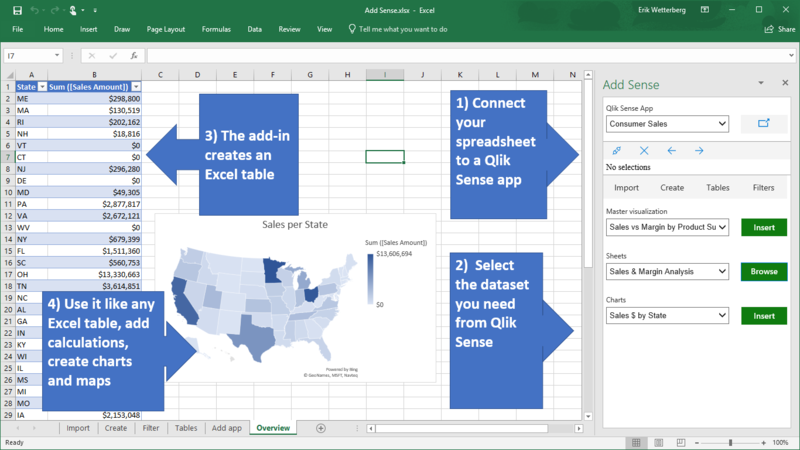 A few weeks ago I wrote a post about a pattern I have used to make Qlik Sense apps more flexible and allow the user to choose what visualizations to show. Feedback I got on this(from Rob Wunderlich) is that there is a performance problem with pick(), that Qlik Sense does not optimize pick calls quite as well as you might think, that it might evaluate function calls where the values are not actually used. I vaguely remember this from Master Summit for Qlik where I believe it was mentioned. At the same time I do know that Qlik from time to time makes improvements in the optimization, so it might not be true anymore. Anyhow, this is something you could easily verfify. And I’ve got a tool to make at least a first assessment of this, the Developer Tools extension. I originally made this to help finding id’s for visualizations, but later has added some timing features to it, that can give us a rough idea about performance in your visualizations. To do this I made a copy of the example used in my previous post. You find it here. In it I made a new sheet and copied one of the visualizations using pick() into it. I chose the pie chart (not because I like pie charts, but because I wanted one with some data in it). I then made a copy of it, and in the copy removed all pick() calls, together with alternatives 2 and 3 in that call, leaving only the first one, which is the expression that will actually be used of the three in pick(). And I add the DevTool extension to the same sheet. The left chart is with pick(), the right one without. The most interesting figure is the one at the bottom right, the maximum calculation time. As you can see there is a significant difference: 147 ms compared to 57 ms. Seems like Rob is wright: there is (still) a performance problem with pick(), even though in my test case calculation time is so small that users will probably not notice. This is a very rough test. It’s main advantage is that you can do it quickly. Since there is such a clear difference between the two alternative the result that pick() is considerably slower can be trusted. And the fact that the no-pick alternative actually takes some time (57 and not 5 msek) means that there is some calculation going on, just taking the result from the cache would be faster.